This is a lovely piece that anyone would be positively thrilled to wear! 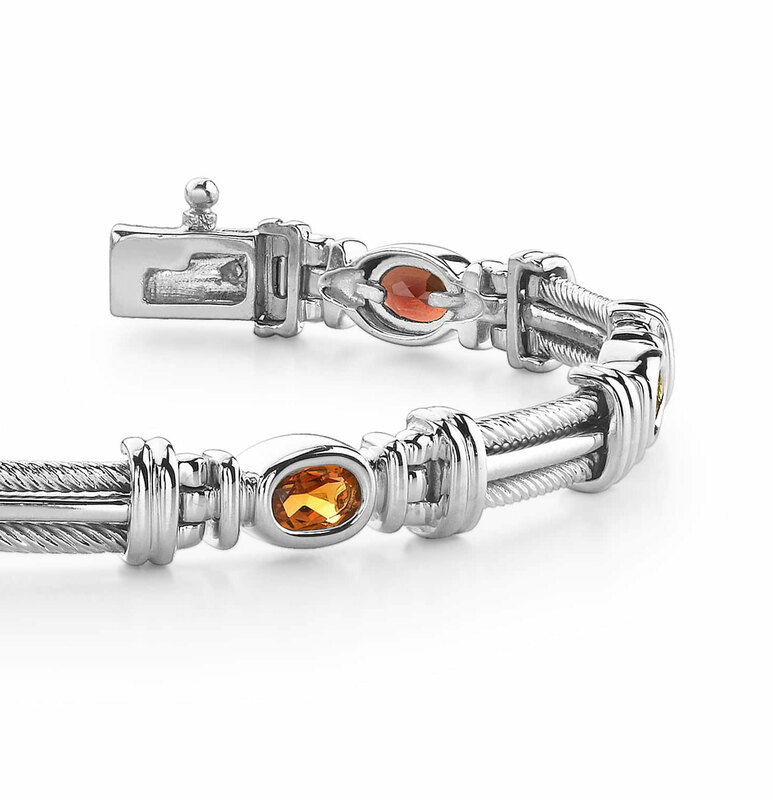 It features a fabulous cable bracelet, separating links with oval gemstones. 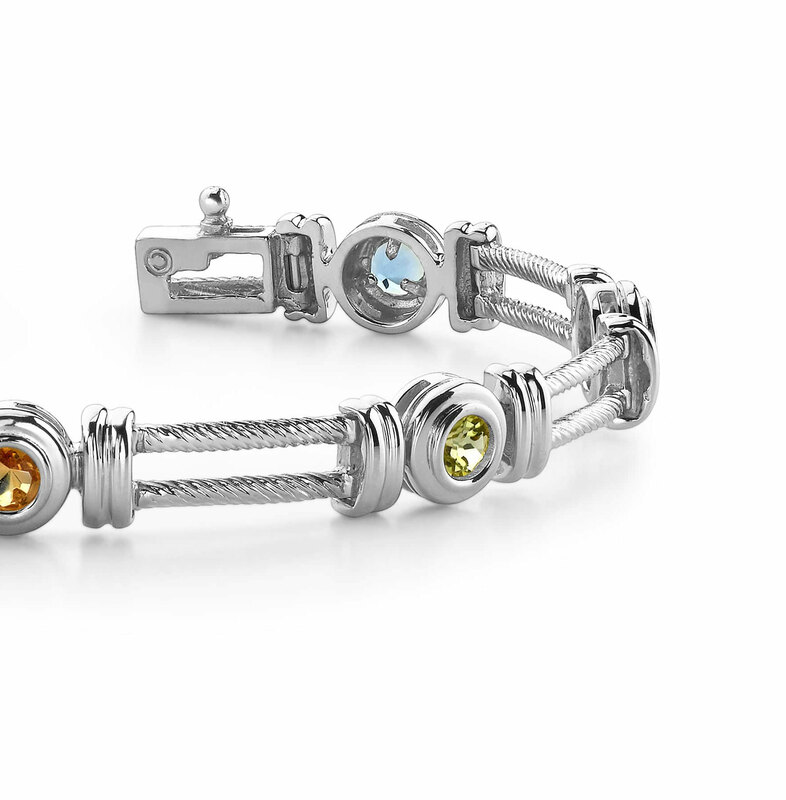 The clasp is sturdy, and this is a very fashion-forward design! 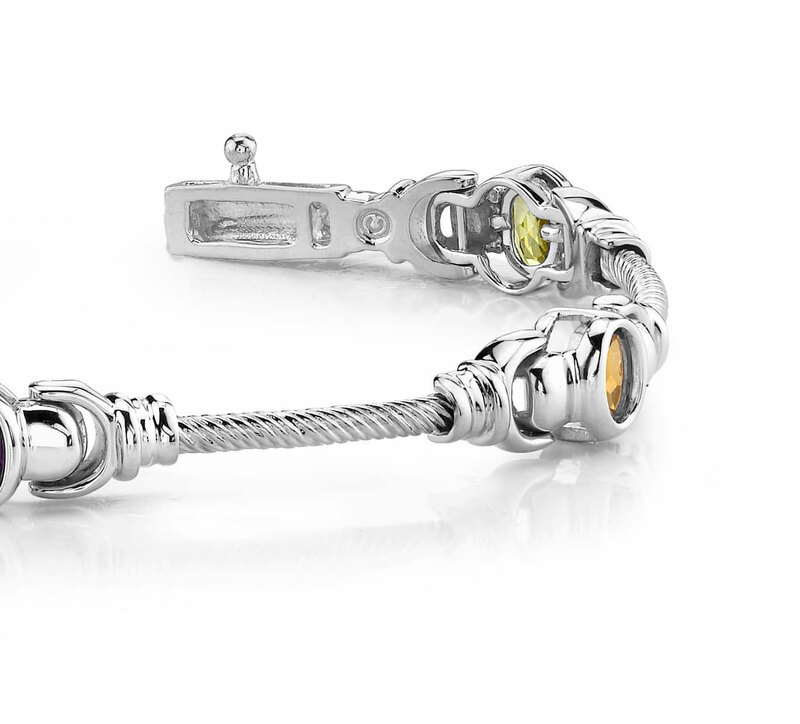 Weighing in a whopping 17.3 grams, you can choose this in either gold or platinum. Truly a gem of a find! Effective Carat Weight: 2.50 ct.
Stone Carat Weight: 5X0.500 ct.